If you could only pick one strategy to get more new patients calling and scheduling, what would it be? Should it be a new website, SEO, PPC or… automating the collection of online reviews or…? Less than two years ago when we provided 50 medical practices we work with an easy way to automate online review collection – we had no idea if it was worth, well, anything. Which was why we just gave it to our top paying clients to test it and see if it worked. Practice owners, well at least the ones who spent 3 minutes a week using the software told us two things. First they told us, it was working to get more patient reviews. No surprise, that’s what it was supposed to do. But then they told us something else we hadn’t expected at all. Our clients told us, they were getting 2-3 more new patients calling each week, or another 8-12 new patients a week. Which could have been a happy coincidence, but medical practices told us people were calling from their town and nearby towns, saying they’d read the reviews and wanted to schedule an appointment. Our clients were calling us excited to share the news, which given the cool demeanor of the medical professionals we work with, was a surprise too. At that point we realized we had marketing system that trounced the competitions, one that actually was easy to use and worked to get more new patients calling. For some practices, it’s created a nice bump in revenue, for others collecting online reviews has literally doubled their revenue. No, that’s not a typo. See how Allan Franklin did just that. Glowing reviews improve your credibility, they help build trust so new patients are more likely to call your practice and schedule an appointment. 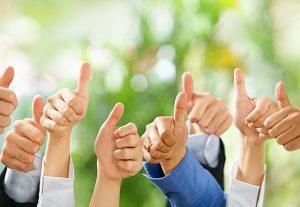 Positive patient reviews make your medical practice stand out in a sea of choices. Seriously who would you pick if you saw a handful of practices listed in Google, the one with 25 great reviews, the one with 3 reviews, or worse yet, the one with zero reviews? 70% of consumers look at online reviews. Yes, in the current review economy where you can sort your purchase options on Amazon by reviews, almost everyone relies on online reviews. 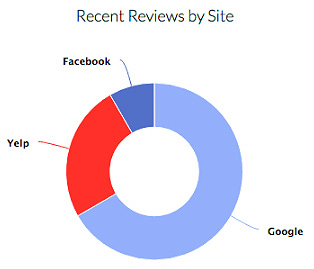 Reviews can improve your website rankings in Google. To be honest we did not know this was going to happen, but once our practices started getting a steady stream of new reviews, Google noticed and more and more started showing up higher in Google and even in the top 3 featured listings. All of the above results in more new patient leads and reviews can help you grow your business. Unless your practice is just a part time hobby, this should be the most important reason to use an automated system to collect and manage patient reviews. In the last 22 months, we’ve helped medical practices collect over 27,583 reviews and generate thousands of additional new patient leads with this reputation management technique. What did we learn about how to get online reviews from patients? To help you get started, we’ve listed the top ideas you can use to grow your practice below. Set goals – If you see 40 patients a week set a goal of asking 40 patients for a review. And don’t be disappointed if each patient doesn’t provide a review. Not everyone will, but the more you ask the more you’ll get. On average we see a response rate of 25%, which means if you ask 40 patients, you should get 10 reviews or more using a few secret strategies we’ll reveal below. Do this for a few weeks, and your practice will stand out online from the competition. Get your staff on board – If you want your staff to ask for and help collect and respond to patient reviews, give them a clear reason. Clarify the value of patient reviews. Get them to evaluate the cost of not having reviews, and letting your competition come out on top. 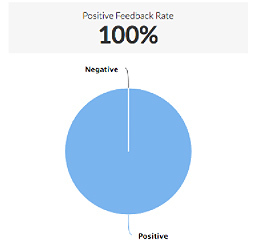 Get them to do the math and map out how much a positive review is worth. Put one person in charge – You know what happens when no one is responsible for a task, right? Nothing happens. Anyone in the office can manage patient review collection. Just get one person to volunteer to set monthly goals, make sure the ask strategies listed below are used, and track results. Set aside time – Once your team is trained on the ask process, it only takes 5 minutes per week to use the Online Review Builder (link to service page). That’s 5 minutes to bring in 2-3 or more new patients! Automate review collection – The real secret to having success in getting glowing patient reviews is to use a proven automated system, one your team has been trained in using and that works seamlessly to get more patient reviews and more new patients. Good reviews are waiting to happen – 90% of U.S. consumers read reviews and only 6% write them. Which suggests 90% of your patients value reviews, and if you ask many will be more than happy to write reviews. Do you know how to get more patient reviews? You ask! Whether you do it in person, by handing patients a card, or by email you have to ask. No asking equals no reviews. Keep asking, and over time you’ll get a steady stream. Set the expectation – Let your patients know your goal is to provide them the best care on the planet and you’ll be asking them for feedback. Let them know when they walk in the door in your waiting room, you’ll be asking them to review the care they get. Use a proven script and email template – Getting patients to provide reviews is much easier when you use a tried and true ask script and pre-tested emails, ones that motivate patients to respond. Of course not everyone responds to the same request, so we provide variations to use – and the email ones are all automated. Avoid bribing patients – To get more positive online reviews from patients, you can’t just offer a reward. Doing that can get your review pages taken down or even your primary website taken down. 99% of people are happy to share positive feedback as their way of saying thank you for the care you provided. In addition, it’s human nature to validate any purchase by telling everyone else about it, including the choice of a medical professional. Ask in person – We know this is tough for some people, to ask for feedback face-to-face, but if you’re the more extroverted type, use it to ask patients as you complete their office visit to pull out their smart phones and provide a review. And have your front desk staff do the same, ask patients as they check out to provide a review. Ask with a card – If you or your team don’t like asking patients to provide you with a review, makes you feel uncomfortable, just hand them a pre-printed card which tells them what to do and where. Ask with your website – The biggest obstacle to review collection is online ask systems that are too complex and take too much time. Add a review page on your medical practice’s website. At the top provide simple instructions and links to it’s easy for patients to provide feedback. Getting patients to post online reviews is that simple. Just walk patients through the steps to get their review live on Google, Yelp and Facebook. Ask by email – With the Online Review Builder software, you have two ways to ask patients for a review. You can download your list of patients who visited your clinic, save as CSV file and upload into Online Review Builder. Takes 3-5 minutes once a week. Better yet, if you work with one of our partner CMS providers, like Blueprint Solutions, you can just sit back as each week it automatically uploads your patient list and emails them, asking for a review. Ask again – Persistence pays off with email. Not every patient will respond to the first email. Which is why we include 3 proven ones as part of the Online Review Builder system. Of course you could get lucky like one medical practice that was getting started using the software. He loaded 10 patient names into the email request system, within days he had 8 glowing patient reviews, a five star rating and top Google ranking. On average the response rate with using our request cards in the office combined with the email autoresponder system is 25%. Ask 20 patients and on average you’ll get 5 patient reviews. Do it again and you’ll get 5 more. Never stop asking because old reviews aren’t nearly as powerful as fresh reviews. 73% of consumers feel that any review older than three months is longer relevant. Which means even if you already have 20 patient reviews, it should be part of your reputation management strategy to keep asking and collecting fresh feedback from patients. Simplify the ask process – Using a proven automated review collection system, like Online Review Builder, is the key. Use the dashboard to monitor performance. 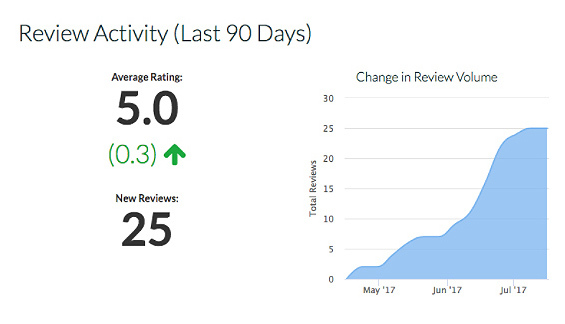 Each week, take a few minutes to see how many reviews you got, who provide a review and didn’t. In the rare case you had a negative review – you can deal with it right away. 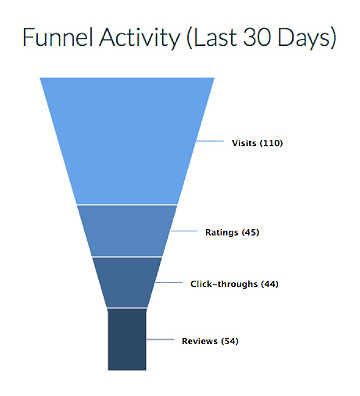 Check to see who has provided a review and who hasn’t to track what’s working and what isn’t. If you’ve been diligent about adding patient names and email addresses into the system, you could see reviews in just a day or so. Either way it’s motivating for your team to see them come in. Respond to positive reviews. When a patient takes the time to post a review for you on one of the social media sites, it’s just common courtesy to thank them. It’s a great reputation management that gives you one more way to connect and build strong patient relationships. In, turn you’ll generate more referrals. Take a few minutes at the start or end of the day to read the glowing reviews to the team. Which is a great motivator to the team to keep providing stellar patient care and collect even more reviews. When you reach your patient review goal for the month celebrate! Take your staff out to lunch and read them all. It’s a great morale builder. In the time it took you to read this post, our Online Review Builder software, helped collect even more glowing patient reviews – helping them stand out from the competition. Isn’t that what you want to do too?